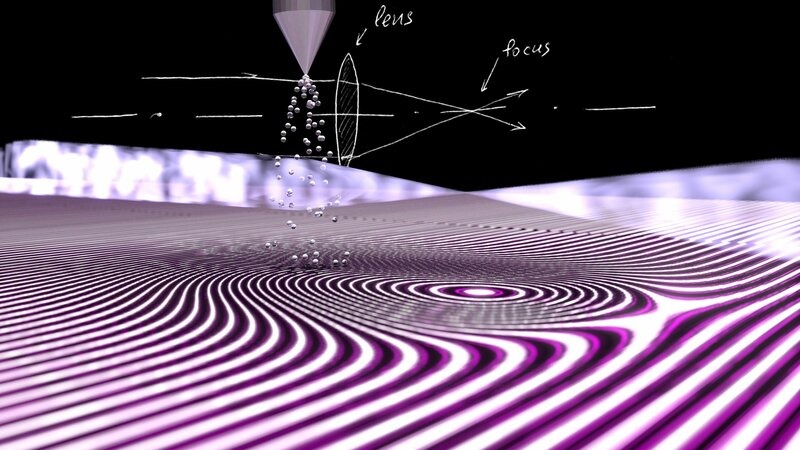 Scientists at the Max Born Institute (MBI) have developed the first refractive lens to focus extreme ultraviolet rays. Instead of using a glass lens, not transparent in the extreme ultraviolet, the researchers have highlighted a lens formed by a jet of atoms. The results, which offer new opportunities for imaging biological samples in the shortest possible time, have been published in Nature. A tree trunk partially submerged in water seems bent. For hundreds of years, people have known that this is due to refraction, that is, the light changes direction when it passes from one medium (water) to another (air) at an angle. Refraction is also the underlying physical principle of lenses that play an indispensable role in everyday life: they are part of the human eye, they are used as eyeglasses, contact lenses, camera lenses and to control laser beams. 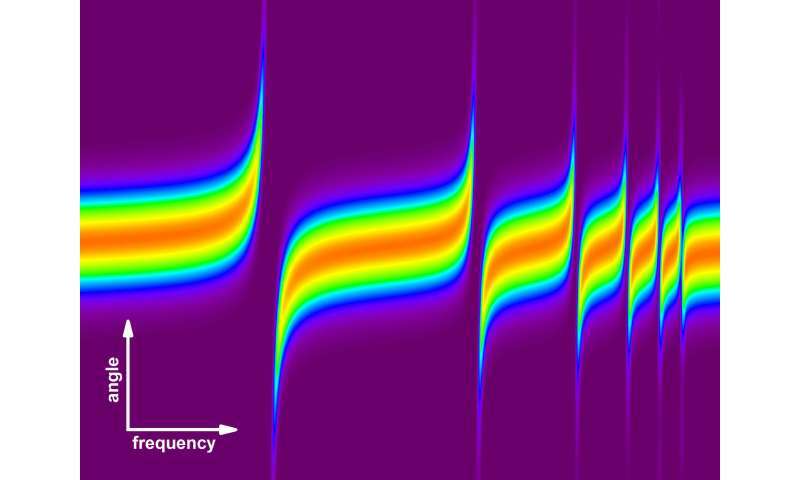 Following the discovery of new regions of the electromagnetic spectrum such as ultraviolet (UV) and X-rays, refractive lenses specifically adapted to these spectral regions have been developed. 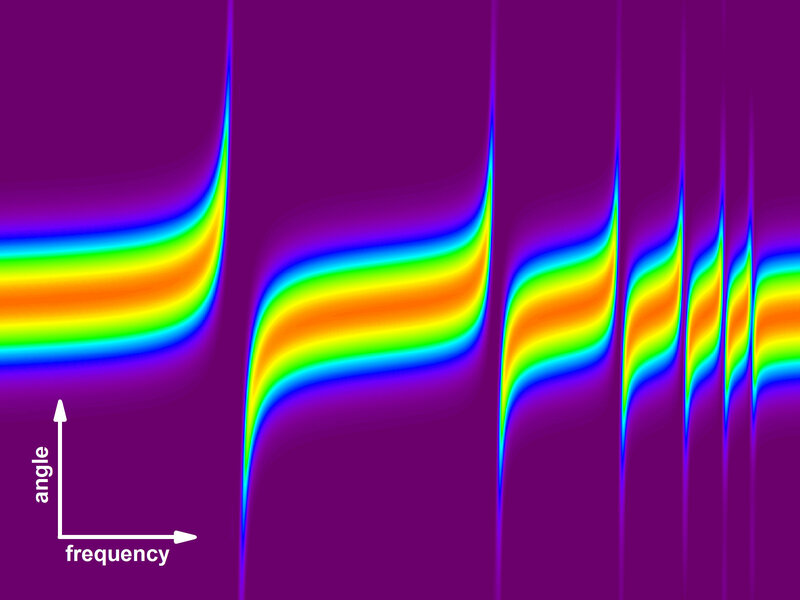 Electromagnetic radiation in the extreme ultraviolet (XUV) region, however, is somewhat special. It occupies the range of wavelengths between the UV and X domains, but unlike the last two types of radiation, it can only travel in a vacuum or in highly rarefied gases. Nowadays, XUV beams are widely used in semiconductor lithography as well as in basic research to understand and control the structure and dynamics of matter. They make it possible to generate the shortest light pulses produced by humans, of an attosecond duration (an attosecond is equivalent to one billionth of a billionth of a second). However, despite the large number of XUV sources and applications, no XUV objective has existed so far. This is because XUV radiation is strongly absorbed by any solid or liquid material and simply can not pass through conventional lenses. In order to focus the XUV beams, a team of MBI researchers took a different approach: they replaced a glass lens with one formed by a jet of atoms from a noble gas, helium . This lens benefits from the high transmission of helium in the XUV spectral range and can at the same time be precisely controlled by changing the density of the gas in the jet. This is important for adjusting the focal length and minimizing the point size of the focused XUV beams. 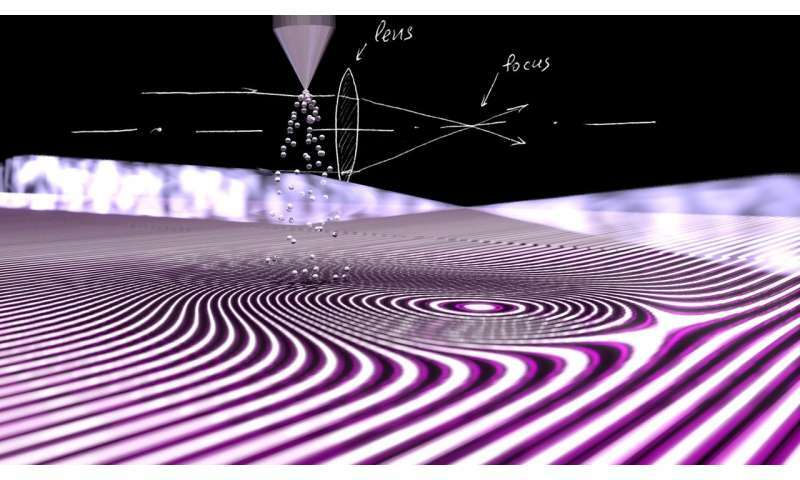 Compared to curved mirrors that are often used to focus XUV radiation, these gaseous refractive lenses have several advantages: A new lens is continuously generated by the stream of atoms in the jet, which avoids the problems of damage. In addition, a gas lens causes virtually no loss of XUV radiation compared to a conventional mirror. "This is a major improvement because the generation of XUV beams is complex and often very expensive," says Bernd Schuette, a MBI researcher and corresponding author of the publication. As part of their work, the researchers also demonstrated that an atomic jet can serve as a prism to break down XUV radiation into its spectral components. This can be compared to the observation of a rainbow, resulting from the degradation of sunlight in spectral colors by water droplets, except that the "colors" XUV light are not visible to the human eye. The development of lenses and gas-phase prisms in the XUV region allows the transfer of optical techniques based on refraction and widely used in the visible and infrared part of the electromagnetic spectrum, in the XUV domain. Gas lenses could, for example, be used to develop an XUV microscope or to focus XUV beams at nanometer point sizes. This could be applied in the future, for example, to observe the structural changes of biomolecules on the shortest time scales.